For the past few years, the band has been conceptualizing albums and pushing the boundary between aggressive and emotional. Songs are constructed unanimously and without interruption in a seamless writing process to craft work fuelled by their musical and environmental influences. The band has released the aforementioned ‘Forest Dweller’ EP and the full-length album 'Farewell to the Sun' July 16, 2016. Live, the band pays attention to the sonic experience with complimentary rhythm that creates a unique blend of intensity and atmosphere. 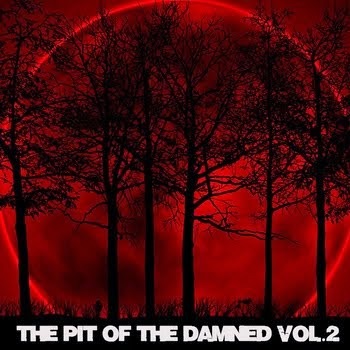 One is able to catch a glimpse of each influence in Vow of Thorns songwriting and their influences including Woods of Ypres, Agalloch, Drudkh, Opeth, Daylight Dies, and Wolves in the Throne Room. 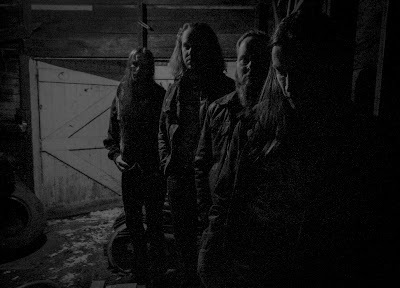 The band is on a journey that slowly takes on darker, lucid, and more despairing elements as they play more shows and write more records.Vow of Thorns is always developing sinister and near-unstable black metal blanketed by an entrancing shroud. thanks to be my guests in The Pit of the Damned. 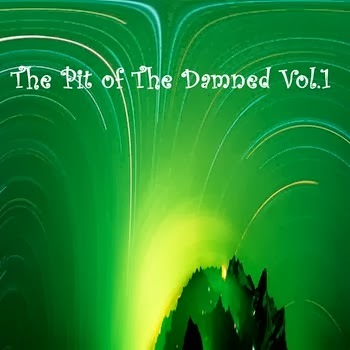 Happy to have interesting underground bands in my blog. May I ask you to give some information about your band? You founded the band in 2008, why 5 years passed before releasing the debut EP? What did you do in this long period? Hawthorne and I got together to start working on original material in 2008. We didn't know exactly what we wanted to do at that point and we didn't have a full band. It took us awhile to decided on what kind of direction we wanted to take and to find a rhythm section. By 2010-2011 we were working as a four piece and began demoing songs and getting ready to hit the stage. Then out of no where our drummer left and we were forced to take a step back and regroup. Templeton joined us on drums and we made our live debut in 2012. Following that we recorded and released the ‘Forest Dweller’ EP. I have reviewed your album, 'Farewell to the Sun', and my impression was that you found a formula to combine the Cascadian sound of Agalloch with heavy metal, am I saying something crazy? In some parts, listening to your guitars, it seems to listening Iron Maiden, even though the atmospheres are creepy, dark, doomish, thanks to very nice acoustic parts, what do you think about my description? Do you agree? What can you say? No I don't think that's crazy to say. A lot of people mention that particular section in "Astral Plane" where we throw in a gallop. I find it funny that part seems to draw a lot of attention as it is such a minor part. It just seemed like an interesting transition. I wouldn’t say that Iron Maiden is a direct influence, but perhaps they are ingrained in our subconscious. What is your background? I mentioned Agalloch, I think that they represent your mainly influence although in your album, there are some other sounds linked to post rock, funeral doom and black metal as well. For example I wrote that "Great Abomination" recalls Melechesh, do you agree? We are all into a lot of different music. 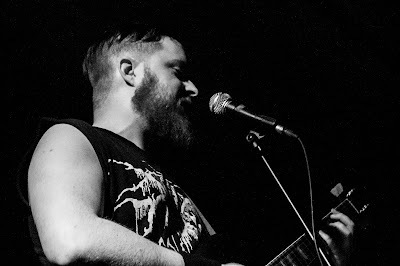 Our common ground being an affection for dark music, primarily black metal. I’m actually not that familiar with Melechesh. I know them, and I’ve seen them (years ago with Rotting Christ and Hate) I just don’t know their music that well. Rotting Christ: however, is one of the first black metal bands I got into as a kid. They certainly still have an influence on me to this day. Again Agalloch, behind the console there was Jason Walton, why this choice and how was working with him? We ended up working with Walton because it felt like the right choice. We wanted someone who understood what we wanted to accomplish and who was as excited about making this album as we were. Working with him was great. We were on the same page about most things so it went fairly smooth. What about the lyrics of 'Farewell to the Sun', who is responsible for them and how is a song by Vow of Thorns usually born? The lyrics are a little bit of everyone, though, primarily Hawthorne and myself on this album. Some songs were written individually and others were a collective effort. Looking back on it the writing process was a little chaotic. We were living in three different cities for awhile, which made it more difficult to get together and work on the songs. The songs themselves are often born from a mutual understanding or approach to the aspects of life that are a little more internalized. I found your proposal very interesting, even if still derivative: is there any plan for the future to distance yourselves from your forefathers or is your aim to sit on the throne left empty by Agalloch? We have a lot of development to do as a band and as song writers if we want to even be sitting at the same table as a band the level of Agalloch, let alone upon the throne. I don’t think that is a spot that anyone can fill. That being said, we have no aspirations to become the next Agalloch, rather we are striving to define our own sound and identity. You are from London, Ontario, what about the local scene there, could you recommend us some interesting bands? London has a little bit of everything. 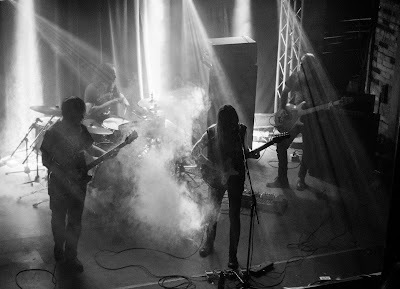 If you’re in the mood for some heavy crushing doom there is Yeti on Horseback, Trilateral for some very progressive and technical metal, or if straight up black metal is what you prefer Saudade is one of the newer bands in the scene. Is there something special in a live performance by Vow of Thorns? We try for a gloomy, hypnotic atmosphere and we always appreciate a crowd who just sits back and absorbs the performance. What are the next steps for your band, is there new music ready? Are you going to experiment with your sound? We have been working on new material since we finished recording ‘Farewell to the Sun’. The sound is defiantly changing, as I think it should, we don’t want to be trying to make the same album over again. Our approach to writing is more focused and organized now. As a result of that I believe what we offer next will be even more powerful. As last question, my recurrent last question: during my face to face interviews in my radio show, I am used to ask for the desert island list: three books, three records and three movies you cannot live without? I’m never good at these... I’ll say LOTR trilogy (typical, I know). Woods of Ypres - 'Pursuit of the Sun' & 'Allure of the Earth', Sepultura - 'Arise', and well with all the Agalloch talk lets add 'The Mantle' in there. The only thing I’m 100% on are the movies I would bring: Star Wars IV, V and VI. Thanks a lot guys for your time, I leave you these last lines for the Italian fans.